A rare opportunity has presented itself at The Jaedon Mews, an upscale townhome community in Toronto’s Little Italy neighbourhood. 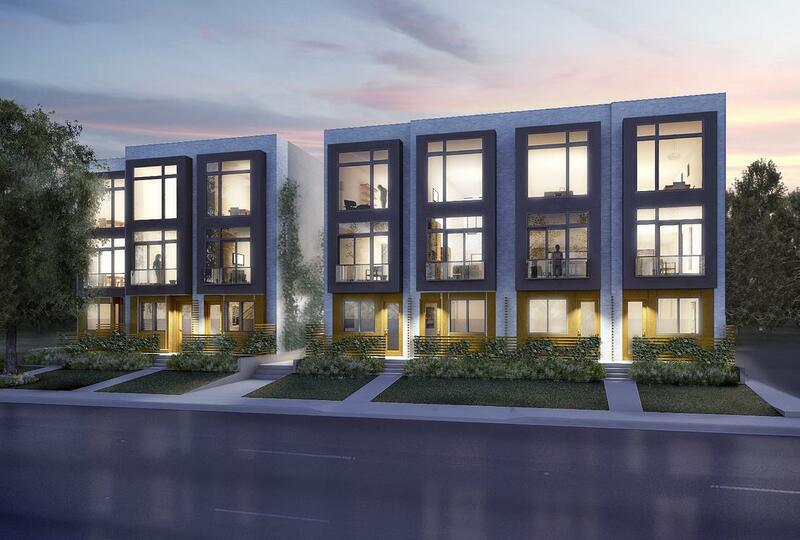 The UrbanQuest development will release three final units in early 2016, just months before occupancy is set to begin. Potential buyers will soon be able to tour the completed four-storey towns, which feature soaring 12 foot ceilings in the kitchens, three skylights, private terraces with gas hook-ups, full floor master bedrooms and more. The remaining townhomes are all end units, situated on a semi-private laneway. Clad in glass, clay brick and treated wood accents, the homes’ exteriors are sleek and modern. Floorplans feature single car garages, studies, open-concept kitchen/living/dining areas, spacious patios, media rooms, guest bedrooms and sumptuous master suites with walk-in closets, double sink vanities, Zen Neptune soaker tubs and glass encased showers with rain showerheads. Interiors will also be defined by floating staircases, Scavolini kitchens with Corian or Caesarstone countertops, A.E.G. and Liebherr appliances, engineered hardwood flooring, LED recessed pot lighting and European-style loggias. Located off of College on Shaw Street, The Jaedon Mews is steps away from cafes, restaurants, boutiques, bars, grocery stores, schools and parks. Getting around the city is a breeze — residents can walk to the nearby Ossington subway station or hop on one of the many streetcar lines that traverse the neighbourhood. Be sure to book an appointment at the Jaedon Mews presentation centre at 672 Dupont Street, Unit 101. For more information call 647 350 0456 or visit urban-quest.format.com.